Enjoy everything that Fall has to offer with live music in downtown Fort Worth. Fort Worth’s Sundance Square offers “Bands on the Bricks” with FREE music every Thursday night starting in September and running through the end of October. 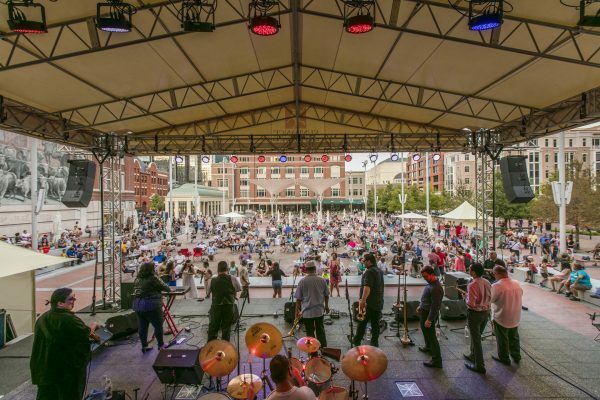 Concert goers will enjoy family friendly music in the heart of Sundance Square. The music starts at 6pm. Blankets and lawn chairs are encouraged, but no coolers. For a schedule for the rest of the year, visit the Sundance Square Bands on the Bricks website. There’s more to do in DFW. Check out Don’t Miss These DFW Pumpkin Patches next!